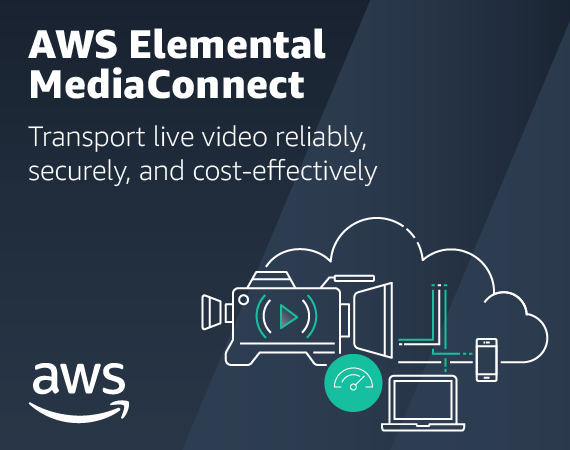 Amazon Web Services announced the availability of AWS Elemental MediaConnect, a reliable, secure, and flexible service for ingesting, transmitting, and replicating live video feeds. AWS Elemental MediaConnect lets broadcasters and content owners cost-effectively send their high-value live content into the cloud, securely transmit it to partners for distribution, or replicating one source to multiple destinations. Using AWS Elemental MediaConnect, customers can build mission-critical live video transport workflows in a fraction of the time and cost of satellite or fiber, and get broadcast-grade monitoring and management.